Throughout our “IoT Industry Series” we have discussed how the Internet of Things is present and growing rapidly in different industries like food and beverage, smart health, and animal health. This week we are discussing Smart Homes and the integrated platforms that exist to connect smart devices around the household. 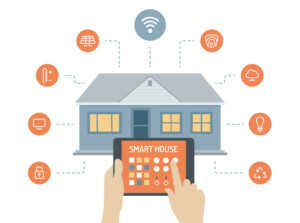 “Smart Home” is the term commonly used to define a residence that has appliances, lighting, heating, air conditioning, TVs, computers, entertainment audio & video systems, security, and camera systems that are capable of communication with one another and can be controlled remotely from any room in the house, or from any location in the world by smartphone or Internet. Smart Homes are the latest addition to the IoT world and technology companies are making [and connecting] products to make homes smarter and users more engaged. Companies like Apple, Google, and Amazon have created products that connect all of these devices to one overall smart source. Google Home is a smart speaker developed by Google that enables users to speak voice commands to interact with services through the Home’s intelligent personal assistant called Google Assistant. Google Home integrates a large number of third-party integrated products that allow users to control the connected products and the device’s features entirely by voice. Google Home has integrated support for home automation features, letting users speak commands to the device to control smart home appliances. Apple was one of the first consumer-facing technology companies to commit to the smart technology for modern households. Apple created a software platform called IOS Home where you can easily control all HomeKit accessories. “HomeKit” is a framework created by apple that provides accessories that are compatible with iPhones. HomeKit is where users can purchase products like sensors, automatic locks, and thermostats that are connected through the Apple Home application on all iPhone owners. Apple then created an on-line web and mobile shopping experience that lists all the products that can be easily connected to one independent and individual source. The focus of Apple Home and Home Kit is to build your own smart home from the palm of your hand. Samsung SmartThings is the control center of your future smart home. Users can control, automate, and monitor their homes from anywhere in the world with the use of the SmartThings App. Similar to the products mentioned above, SmartThings by Samsung connects most of the [smart] products around the home into one simple source. Users can connect, control, and manage products like thermostats, smart locks, and security systems from SmartThings application in their smartphone. The Amazon Echo is a smart speaker developed by Amazon.com. The device connects to the voice-controlled personal assistant Alexa. Similar to Google Home Alexa is designed to play music, set alarms, stream podcasts, provide the weather and traffic, playback audiobooks and provide a hub for future smart devices in your home.. The Internet of Things (IoT) has connected more industries than ever before. As we know, IoT has advanced the Medical and Health industry in many ways. Recently we wrote about how Granny Pods help our older citizens age in place.. We have also written about how IoT is connecting you to your best friend and faithful companion. IoT is now reaching much further than our pets. IoT is engaged in the animal industries as a whole and its changing how we care for our animals for the better. Animal health is normally broken up into two primary segments: large animals and companion animals. This week’s blog post focusses on Animal Health and how IoT has helped different segments of animal health from large animals, to wildlife, and smaller animals/pets. IoT companies have developed new connected products that help to preserve natural spaces around the world, keep our wildlife safe and fortunately even going so far as to save them from extinction.. One of the main ways IoT accomplishes this is through connected tracking devices. The devices monitor their movements and behaviors thereby making their lives safer and more secure. One innovative (and large!) product for monitoring is Elephant Tracking, a GPS elephant collar that tracks the elephant’s position in real-time and transmits the location and movement patterns to the park rangers smart phone. The farming world will realize huge benefits from IoT in the area of animal health. Silent Herdsman is a neck collar that tracks all cows’ activity, detecting changes in their behavior, and data about their vital functions This data helps the farmer to know exactly when the cows are sick, pregnant, and most importantly when the best day for milk production is. IoT intersects with the animal health industry, this developing sector is often called the Internet of Animal Healthy Things, or IoAHT. IoAHT software and hardware maximizes the efficiency and health of livestock. Most of the innovation around IoAHT technology has been focused on the hardware/wearable tech devices that are attached to the animals themselves and transmit info to data to data collection and analysis systems. An example is TekVet, a health monitoring system that can immediately identify a rise in temperature that is associated with many common illnesses, allowing the livestock operator to perform early, and more successful, treatment. The monitor can track early signs of illness allowing the operator administer early treatment and reduce livestock loss. CattleWatch is a GPS tracker that monitors and records the cattle’s location. More importantly it monitors health conditions and predator activity, creates invisible fences that restrict cattle movement, and allows livestock producers to send out drones from their smartphones which collect live video feeds of their herds. Something closer to home and an example of how IoT is helping pet owners care for their best friend is the LINK AKC. Created by the American Kennel Club, the LINK AKC is a smart collar that combines the most advanced technology putting your dog’s needs and location right at your fingertips whenever you need it. LINK is the only curved smart collar designed to comfortably fit all dogs. The system allows a tracking unit that fits comfortably on the dog’s collar that helps with pet wellness, dog location, and keeping your dog happy and healthy. Another example of Pet IoT is Clever Pet; an engaging ‘dog trainer’ that keeps your dog active while you’re away from home. The product has a number of different modes that provides your dog with easy activities that progress to more difficult mental tests so that your dog stays stimulated and never gets bored. Clever Pet provides treats for successfully completing activities and sends live updates to pet owners via its mobile application. We can’t forget about our cats! Tailio turns your basic cat litter box into a connected ‘smart’ litter box. Tailio sits underneath your litter box and monitors your cat’s weight and amount of waste produced. More importantly, it tracks the frequency of activity within the litter box and analyzes this data to determine whether your cat is healthy or if it may be trending towards an unhealthy condition so that you can be warned proactively via their mobile app. IoT is helping all animal owners become more familiar with their animals health needs. As healthcare and wellbeing is important for human beings, it should also be important for our animals (pets, wildlife or farm). Animals can be our most loyal companions.. As much as they love and care for us and give us enjoyment, we should show them the same love, care, and appreciation. New and innovative IoT (Internet of Things) products are connecting you to your loved ones in many new ways. MedCottages or “Granny Pods," as they are oftentimes affectionately referred to, are self contained housing units that you can drop into your backyard - adding a second home for your aging loved one. Being close and accessible to the caregiver and providing state of the art in in-home aging amenities, Granny Pods are an up and coming product of the Internet of Things world. The American Association of Retired People (AARP) estimates there are over 23 million Americans that take care of their elderly parents. However, finding the perfect place for them to live in a comfortable, familiar and safe place is difficult and [often] expensive. On many occasions, children do not want to leave their parents in an assisted home facility on their own, or sometimes it is not in their financial abilities to do so either. In addition, the aging person most often wants to maintain a certain level of independence. They want to continue their lives in a home where they control their lives. IoT and the tech industry have come up with new products that will make aging [and life] easier for all families. MEDCottages or “Granny Pods” are tiny homes loaded with safety features and technology. They are designed by a Blacksburg, VA company with help from Virginia Tech. Variations of this original design are popping up from other housing manufacturers. In each case, the mini-homes are designed for the very specific purpose of providing a fast, convenient and safe solution to aging in place. The basis of the Granny Pods are small modular guest houses designed to be installed in a backyard, with all the latest high-tech medical extras. Embedded IoT devices add to the ease of caregiving and make it accessible for those that want their elders close and taken care of with dignity. The small dwelling is hooked up to the main home’s existing sewer, water and power lines. Some of the standard features include hand railings, defibrillators, first aid supplies, lighted floorboards and a soft floor to minimize damage from falls. From an IoT perspective devices range from voice assisted lighting, locks and appliances control to bi-directional hands free communications with caregivers anywhere in the home. Motion detectors can monitor for falls and send alerts accordingly. IoT has made its way into the Medical and Health industry and, like always, it is looking for ways to make our lives easier and safer. Granny Pods are allowing elderly family members to live in high-tech backyard cottages for aging in place, assisted living, and caregiving right in their loved one’s backyard. By: Jay Cahill of Bluefin Technology Partners Over the years Bluefin has developed a pretty wide and deep set of experiences in developing connected products. We continue to get requests from the IoT community at large to share some of those experiences. To satisfy this request we are commissioning a series of blogs that focuses in on some key aspects of IoT development; one tidbit of knowledge at a time. With that in mind, we thought we’d start off the series by sharing some thoughts and considerations about “Powering your Connected Device.” Here are a few top of mind areas to consider as you start to layout your Connected Device Power Strategy. As you begin, it's critical to get a firm understanding of the Who, Where, What, When, and How of the product as they shape the fundamental principles of your design. When will it do it? How will it communicate what it’s doing or has done? Where will the product be deployed and what will be the operating environment? The answers to these questions inform the decision to use a constantly available power supply or the need to design a solution based on battery technology to power it. In addition to the power draw required for normal operations of the device, the accessibility of the device could greatly impact your power designs when you have to consider that these devices may need remote access to update the firmware that runs on them. Remote updates require network accessibility and the transfer of files - meaning modems or wifi or some other radio controls - thus driving requirements for more juice. Understanding the intended audience of the product and their ability to manage the product is extremely important as you need to determine what capabilities they have in assisting in the management of the power for the device. While we should optimally design for autonomous power management in the device, you may have flexibility in your battery requirements if the operator of the device can provide a level of monitoring and metering over that device. Case in point, if the device is for human use, you are more likely to get their participation in managing power consumption versus a pet wearable, where Rover just doesn’t care about how many bars are left on the battery meter. The most obvious consideration for power requirement is sorting out what functions the device will do. 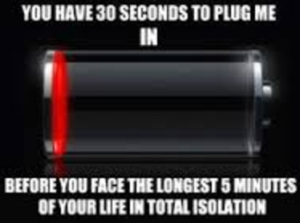 Fortunately or unfortunately, not all sensors and their communications mechanisms are made power consumption friendly. For example, if you wanted to use a connected device to monitor your crops to ensure that they are getting watered properly you could develop a connected device that photographs and forwards hi-resolution photos of the crop to the cloud where they can be analyzed and compared for color and content to affirm proper watering -- Or -- you could develop a connected product with sensors that transmits text-based moisture readings from the soil that can affirm proper watering has taken place. Same results, very different power and hence battery requirements. Regardless of task, the regularity of its execution will drive power needs. In the design of a connected product you often find yourself balancing the frequency of polling the sensor, the size of the information you are capturing and the timing of offloading the data from the device. Should you do small bite size data transmissions more frequently or larger, longer transmission less frequently? The timeliness of the information needs to be weighed against the availability of power to supply the updates. Once you have a firm understanding of your requirements and a broad brush on the Who, What, Where and When, invest in developing a Power Budget - a tool that outlines the consumption of power by your most critical components in your IoT design. (Note: Coursera has a nice overview in Lecture 22). Armed with a Power Budget you can model expected usage patterns and determine the detailed requirements for powering your IoT device over its intended lifetime.Til next time. The Internet of Things (IoT) has made its way to new, innovative, and upcoming industries such as: food and beverage, automobiles, and healthcare. The healthcare industry is the latest achievement in the IoT and Technology world. The idea of IoT is to make fitness (and healthy lifestyle) more accessible for any person that has the drive and can use a device as pervasive as a smartphone. Health and wellness are vital concerns for everyone. The rising costs of care combined with an aging population and the need to focus on preventive care has put pressure on the healthcare system. IoT is becoming the middleman that is bringing users new and innovative ways to be fit and maintain a healthy lifestyle. Connected Contact Lenses: Alcon (A Novartis Division) provides innovative products that enhance the quality of life by helping people see better. They have licensed Google’s smart lens technologies, which involves non-invasive sensors embedded within the contact lenses. Novartis is also hoping to develop a smart lens that will help those with presbyopia, helping to restore the eye’s focus. Ingestible Sensors: Proteus Digital Health Care is the first digital medical service in the world. PDH is comprised of ingestible sensors, a small-wearable patch , an application on a mobile device, and a provider portrait. The chief purpose of this technology is to monitor adherence to a medication schedule. The pill dissolves in the stomach and causes a small voltage that is then picked up by a sensor in the body, which again relays the data to a smartphone app. Depression Fighting Apps: Takeda Pharmaceuticals USA partnered with Cognition Kit Limited to make a specifically designed App that monitors and assesses cognitive function in patients with Major Depressive Disorder (MDD). Now, in come Bluefin Technology Partners and Cantina that have joined forces to bring health and IoT together. This achievement is just the beginning for how IoT has entered the healthcare industry. Uplift Cooperative is elevating health and wellness with connected products. Uplift Cooperative is the innovative tool that will bring users closer to their fitness and health care objectives. Uplift Cooperative is the partnership for all things IoT and health. The partnership will help companies create life-changing technology experiences for customers by bringing connected devices and services to market. Uplift brings complete solutions, including hardware, software, and experience design. Do you have an IoT project you need help with? 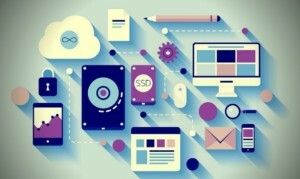 Bluefin Technology Partners helps companies build amazing connected solutions. We understand the complexity and collaboration required between organizational disciplines in order to deliver an IoT product to market on time and on budget. We provide the services needed to assess your market, manage your partners, and shepherd your project through successful launch. Location: Powered by AT&T, the collar connects to your phone through GPS technology, tracking services, and the LINK AKC application to find give an exact location of your dog’s whereabouts. Wellness and Care: With activity tracking LINK AKC provides data and insight on your dog’s energy, strength, and well-being. Adventures: The best thing about having a pet is going on adventures. LINK AKC records the best parts of your endeavours with your pet. Record, save and share all special occasions with your pet. More importantly, with just the touch of a button you can manage all the information and pictures to create an album for future reference. Training: The best way to train your dog is through sounds, patience, and persistence. LINK AKC tracks and makes training accessible through the application for faster and more efficient training functions. LINK AKC is easier to understand than you’d think. The data is transmitted to a cellular network (similar to a cell phone) which allows you to know your dog’s location, activity levels, and environment temperatures. The focus is to create a stronger, easier, and closer connection between dogs and their owners. LINK AKC connects you favorite things together and makes it easier to take care of your loved one. The best feature of LINK AKC is its set up! After you have placed and received your order. It’s as easy as 1, 2, 3. Go to: www.linkakc.com/start. Download the LINK AKC App, now available on the Apple App Store and Android Marketplace, and follow the instructions. LINK AKC is now shipping to its pre-order customers and available at online retailers. Get yours today and connect with your pet! One of the biggest challenges in physical product design (for IoT or not) is making sure that the product can be manufactured at scale. It's one thing to be able to build a beautiful appearance model that gets your CEO, Board, and even customers excited, and yet another to make sure it can be molded, assembled and tested for quality so it goes out the door fast. One of Bluefin's partners, Dragon Innovation, has been helping companies do this and do this extremely well since 2009. Hand in hand with Design For Manufacturing is designing for profitability. Simply put, making sure your Bill of Materials (BOM) is designed at the lowest cost and highest quality. Though assessing your component parts and doing a thorough sourcing of the best valued pieces for your solution is a must, designing for profitability should be forefront from the very beginning of the project -- even at partner selection. When it comes time to find the right partner for your project, it's good to have a strong sense of the MSRP for the product while assessing those candidates. As an example let's look at Mechanical Engineering. In the greater Boston area, there is a lot of great ME companies that have done some amazing work in the medical/healthcare world. These firms have the skills and process that allow for pushing FDA certified products out the door, so they are more than capable of handling high-quality consumer goods if that is the scope of your project. However, be cautious and explore the range of the MSRP for the devices they have developed and how that aligns to your product. Often times Healthcare products trend higher on the per unit MSRP which makes the design approaches and component implementation to be less price sensitive. ( i.e. Eight $0.50 parts on a $10,000 machine is forgettable, however on a $75 consumer product it becomes 5% of the BOM). If your design team is accustomed to working with high MSRP products, and your asking them to produce a low MSRP product, you may need to challenge their engineering approaches to make sure you're product is being Designed for Profitability.